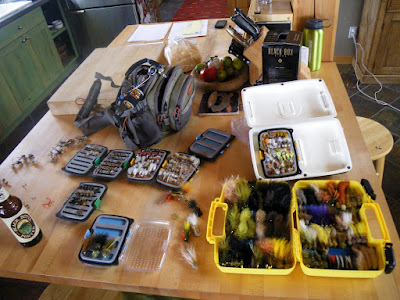 LIFE IS FLY, LLC: Kevin Emery's Fly Fishing Guide Service: Spring cleaning will have to wait! Delayed by 12" of fresh snow . WHERE THE HELL IS SPRING? Spring cleaning will have to wait! 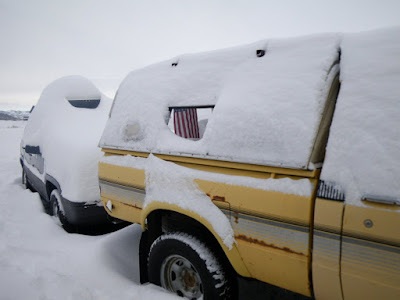 Delayed by 12" of fresh snow . WHERE THE HELL IS SPRING? I guess I'll have to go skiing, seeing there's another 12" of new snow in the front yard. The cleaning will have to wait a few more hours. 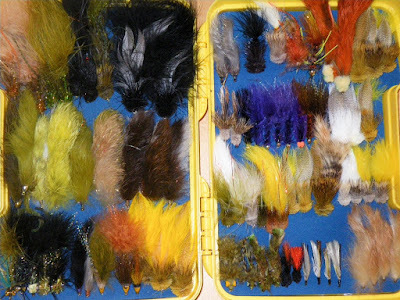 Spring cleaning the fly boxes. I'd have to put a bugger box full of streamers on par with a scantily-clad Eva Green for full-on sexiness. Does that mean I have a problem?